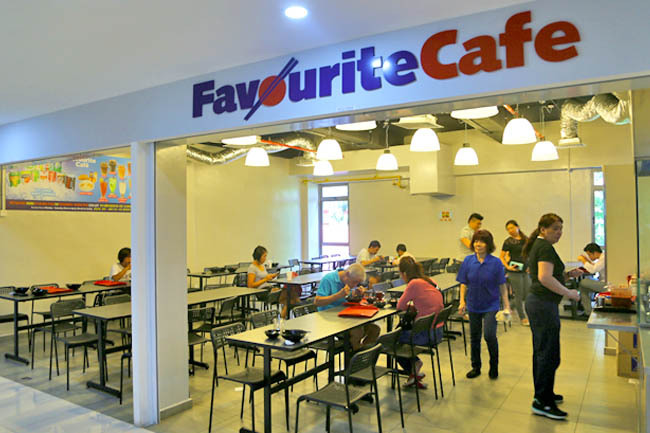 Those who are in the know would be familiar with Lucky Plaza’s very popular My Favourite Café Yong Tau Foo stall, attracting long queues during lunch time. Well, it has opened another branch at Bugis Cube! (My food radar is all over the place yah?) Bugis Cube is this mall of sorts opposite Bugis Junction (from Baker & Cook, Honeymoon Dessert side), filled with manicure salons and random shops. 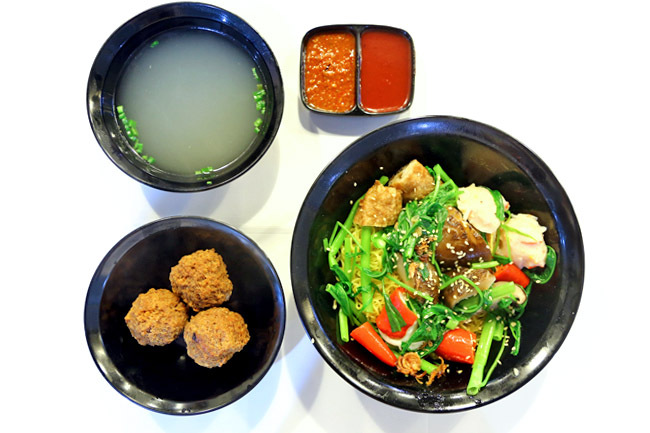 Fans of this Yong Tau Foo stall would know they are known for TWO signature items – the handmade meatballs and Korean mushrooms. All their items are at 60 cents each. The rest are the standard beancurd, chili, bitter gourd, seaweed wrapped chicken, mushroom ball, kang kong… nothing very special in that aspect. True story. I went and saw probably two dozen deep fried meatballs in the tray, there was no queue, so I went to the washroom first. Came back in minutes, ALL the meatballs were sold out. Uncle told me to wait at least an hour for the next batch. Boohoo. The next time I went back, the lady in front of me ordered 10 meatballs to go with noodles. TEN. Nothing else. Then, I figured out why. She was not the only one doing so. 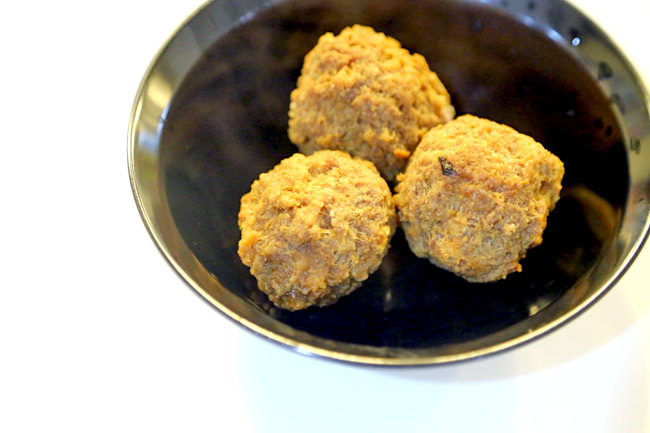 The meatballs are slightly smaller than a ping pong ball, deep fried till crispy while the inner is filled with minced meat. Rather substantial and meaty. Get the freshly fried batch, and you would be in cloud nine. Some if left in the open for too long, would taste ‘over-rated’. Unlike the Lucky Plaza branch, sauces are kept separate from the noodles. 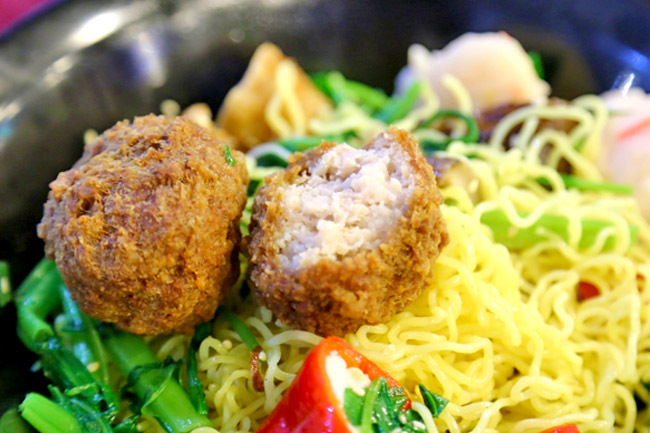 My mee kia was surprisingly tasty, tossed in fragrant oil, flavoursome enough that you do not need to add too much of the sweet sauce. Avoid the peak hours at both branches as it will get crowded. Go too late also meatballs get sold out. Think this stall is overrated. Just went over during lunchtime to try it out. There was already a queue when we (my colleague and myself) were there at around 12.15pm. Initially, we were pretty excited over this visit. 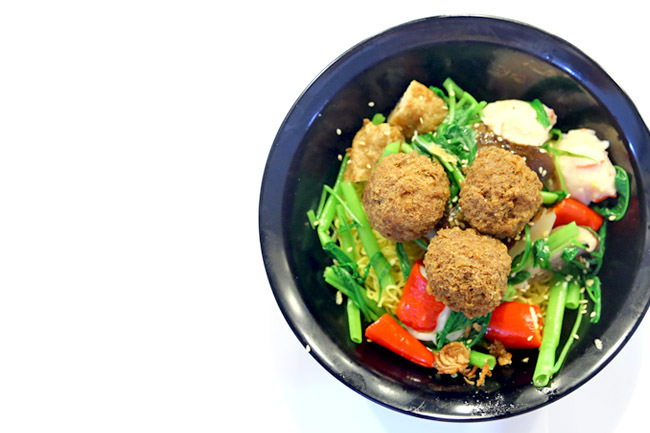 But when we dug into our bowl of yong tau foo… what a disappointment!!! The meatballs (not fresh from the oven) were cold and pathetic. The sweet sauce was so common… like those sauce you could get from any yong tau foo stall. My colleague and I thought that the sweet sauce will be some home-made secret recipe. The only saving grace was the mee kia. 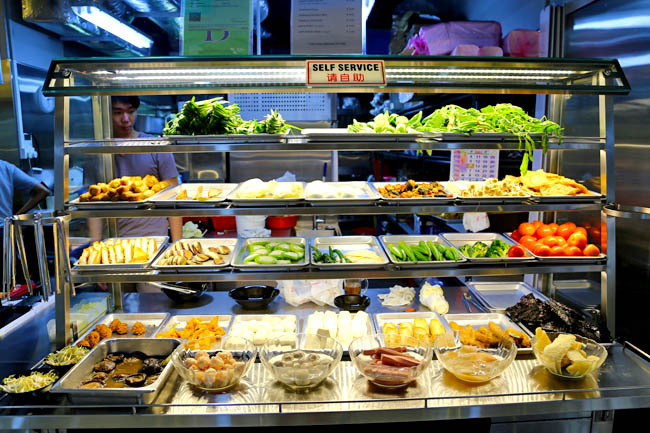 Other than that.. nothing to scream about from this yong tau foo stall. Yup… we are definitely not making our way back there again. This will be our first and last visit to this stall.